2014 Chevrolet Equinox - Awesome crossover with a smooth ride, good gas mileage, and plenty of room. This is my second Chevy Equinox, so I have to say, I am extremely happy with this vehicle. Chevy has made vast improvements in the handling and ride of this model since the initial redesign in 2010. The outside appearance is very appealing with great lines and the LT trim, which I have, has roof rails that add a sporty look. The chrome accents around the windows and the fog lights are a nice addition that give the car a more upscale feel. The rear lift gate is light weight and easy to handle. Moving inside, there are improvements in the lighting as well. Chevy has added on/off buttons on the backseat overhead lights which is nice when you have passengers. This trim has upgraded cloth seats, which are very comfortable. The only problem is the cloth is mesh, and things get easily caught. I would definitely upgrade to leather if you have kids or eat often in your car. The cabin is very spacious and there is plenty of leg room in the backseat. I don't ride in the backseat, but I have been told that it is not very comfortable for long periods of time as the edge of the seat hits your legs in an odd spot and feels like it hinders circulation. This is not a huge factor for me since I do not often have passengers in the back. The cargo area is fairly large, although some room is taken away by the subwoofer. The Chevy MyLink touch screen radio with upgraded Pioneer speakers and subwoofer is probably my favorite feature of this car. It has many great options such as Pandora and Sticher and the sound is outstanding. It does respond slowly when changing channels or volume from the steering wheel mounted controls, which is a bit of a frustration for me. The car handles extremely well, and the ride is exceptionally smooth, especially compared to the 2010 model. It gets great gas mileage and has an economy button that will get you a few extra miles if you are willing to suffer a little in the performance department. The 4-cylinder engine is not too bad, although it does hesitate a bit when trying to accelerate while going uphill. Overall, I love this car and would recommend it to anyone looking for a small to mid-sized crossover. In general this car is fun to drive. My bestfriend and I love to drive around for hours looking at huge houses in historical areas, and we always take my car because it is comfortable and has a great soud system. The top positive things about this vehicle are the body style, size, ease of handling, great gas mileage, and nice sound system. My favorite things are the Chevy MyLink touchscreen radio, the Pioneer speakers, and the fact that in size, this crossover is in between the other small and mid-sized models on the market. The top negative things about this vehicle are the slow response of the steering wheel mounted audio controls, slow acceleration up hill, and the voice recognition system almost never understands what you are saying the first time. 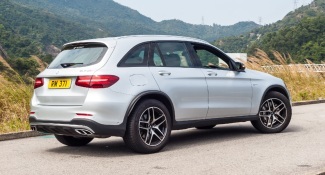 This crossover SUV is great for a small family. The third row is best suited for children and is not advised for adults. However, if you need more cargo space than passengers, this is an excellent vehicle! Simply lay down the seats and place your cargo in! The vehicle is extremely reliable and has a tight turn radius. Fuel economy is right around 23 MPG. If you are considering the Ford Freestyle, consider the SEL for ultimate comfort. While the SE model does have front individual passenger controls, the air flow to the back of the cabin is limited. I have absolutely loved having enough cargo space to be able to take two adults and children on vacation. This vehicle has allowed us to carry two children with their huge car seats, strollers, pack-and-play, and all of the necessary luggage and toys. I have had several people remark that their newer SUVs do not hold that much space. We've also been to Branson on vacation several times and found that we can pack the entire vehicle including a cooler, tent, and luggage. There were too many bugs, so the kids weren't interested in sleeping outside, so we put all of the seats down and slept in the car. I love that it has the cargo space for a small family that travels extensively. It has a nice, smooth ride with a nice turning radius that makes it able to get into tighter parking spaces. The third row is not built for adult travel comfortably. Rear passenger comfort may be decreased due to not having proper air flow in the cabin. The cloth seat material seems to pick up stains (even water) and hold them without a good scrubbing. We needed to get a larger vehicle as having 2 car seats and a teenager was just too cumbersome in a regular car. And we're far too young and cool to get a minivan. The Honda Pilot was the perfect solution for our problems. Although we did scout larger SUVs, the gas mileage of the pilot kept bringing us back. This crossover provides 3 rows of seats that can comfortably seat 7 easily and have room in the back. And for the size you gain, it drives as if you were in a car; it is very easy to maneuver into parking spots. We decided to take a trip to the lake with friends, no need to drive two cars, we all fit in the Pilot including cooler and everything else we brought.